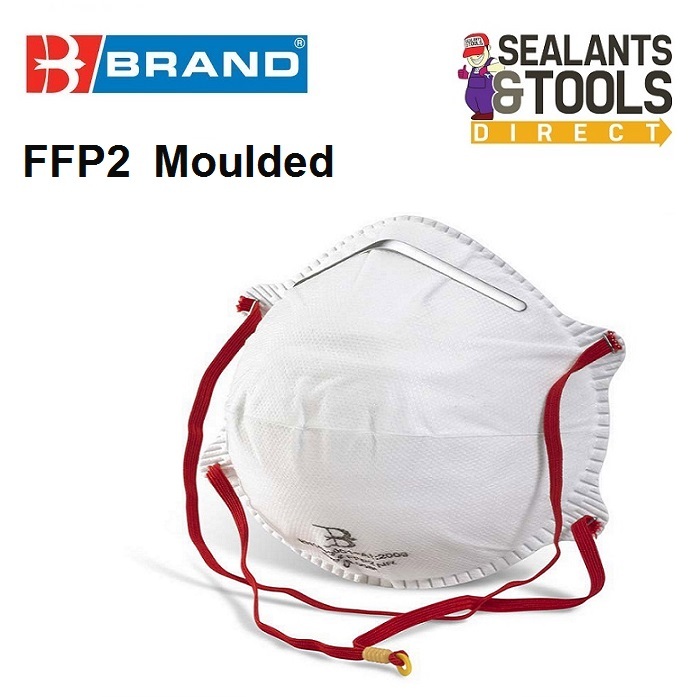 B Brand P2 disposable face mask. Quality comfortable product ideal for use in the construction, metalwork, diy industries. Offers protection against such tasks as demolition, groundwork, shot creting, machining, grinding, polishing and linishing. The Polypropylene outer layer provides a smooth lining. Embossed fringe seal for extra comfort. Latex free synthetic rubber head straps. Contour give good compatibility of glasses, goggles also reduces fogging. Soft close-cell nose foam and adjustable nose piece ensure custom shape this increases the worker comfort & acceptance.